What an awesome spinner! I literally have a problem cause I have too many bearings and this is the only spinner I use. I put some polished Duebell buttons and a 9 ball FC, meets all my requirements for cessation. Machining gives great texture in the warp. I hand polished some parts per preference. Perfect balance, great centrifugal distribution. Thank you SS! You rock. I absolutely love this spinner! I haven't put it down since I bought it. Originally I put a 9-ball FC in and it feels amazing. Works with multiple buttons I had. I polished it myself and switched to a hybrid bearing. The first setting offered great dynamic feedback and the second setting runs smooth like glass. The warp, has both a cutting shape and a worry coin feel. Just great all-round spinner. Great for driving, walking around and otherwise multi-tasking. Thank you! 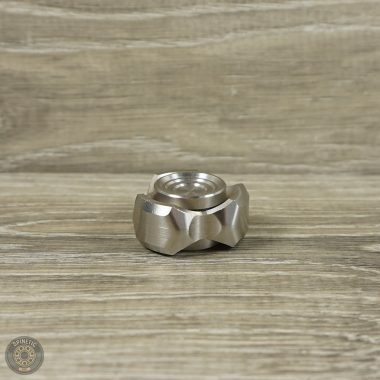 This little spinner is just bonkers! Great weight, balanced, and all the edges and chamfers are so smooth. 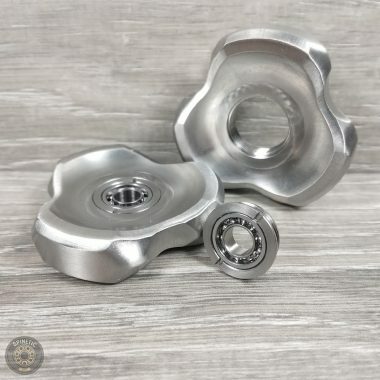 For a mini spinner it truly shines! Thanks again Josh and team! This little guy deserves more like a 10 star. I had mine polished and Spinetic did a phenominal job on it. When I first got it, I didnt think I would like it because it's a micro. But I threw a One Drop in and I love it. It's so adictively fidgitable.